The Android is the best mobile operating system and it is by well known search giant Google. From past some time the Android has gained too much popularity. The mobile operating system has left all the major operating systems behind and has become the no.1 operating system. The Android has now the user area of about 25 percent and daily almost 8,50,000 Android based devices are activated. The top most reason for too much popularity of the Android is its variety of apps availability. There are no. of apps available that we can use on the Android based smart phones and tablets. The Android Market is the best and Google Authorized place to download the apps and games on your devices. There are about 4,00,000 apps available in the Android market, that include both the paid as well as unpaid apps. One of the big problems to get the Android based apps and games that are APK extension files from the Android Market is that, you have to look for the apps by the location and device compatibility. Then you have to send these APK files to your device, after which you have to install them on your device and then only you can play the games and apps on your Android. This process is very lengthy and time consuming as well. But now you do not have to worry about this process. Because something is there to help you in this regard. All you need is the Google Chrome browser installed on your system and then you can easily download the apps directly on your desktop. Yes this is possible and the Google Chrome Extension that is going to help you in this is APK Downloader. You might have heard about this useful extension already, as it was developed some time ago, but due to the fear of stealing of the paid app, this extension was made dead. But the extension is again live and you can use it on your Google Chrome. With this app you can directly download the APK to your desktop. The main use of this app is that it allows to bypass the location or device compatibility restrictions. With this extension, you can easily download the Android apps to your desktop with any restriction. Here is the guide to use the APK downloader to download the APK directly to your desktop. 1. The first step is to download and install the Google Chrome browser on your desktop. After installing the Chrome, download the APK downloader extension from the developer’s website here. 2. When you will click the install button, the options tab will open there. 3. 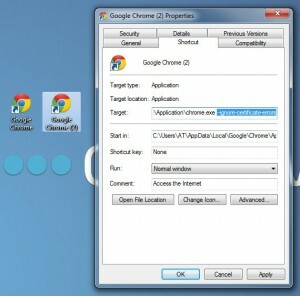 In case you get any SSL based error, then it is the time to customize the properties of the Google Chrome shortcut. For this select the Chrome icon and right click on it. From the properties options there, go to the target field. There you will be able to find the text like this –ignore-certificate-errors right after chrome.exe. Make a space just at the starting of this text. 4. Now again run the Chrome, but this time by clicking the shortcut icon, that you just modify. 5. 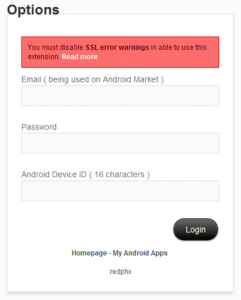 There you will be asked to enter your Android device’s id. To find this, follow the following procedure. Dial the *#*#8255#*# from your Android device and there you will find something labeled as the Android device id. The 16 digit code is the id of your Android device, that you need in this step. 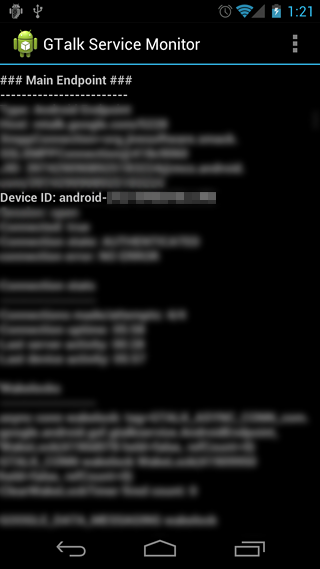 Just copy that Android device id. 6. Now hit the login button and follow the on screen instructions, that ask you to enter the country details. After doing this, just click the save settings button simply. That’s it, now you can download the Android based APK files directly to your computer, without any restriction of the device compatibility or region as well. From now on, whenever you will open the Android market, the APK download extension will comes into the play automatically and you will able to download any APK file directly to your computer.